The Casual Boardwalk | Menswear, Lifestyle, and Reviews By Alex Salcedo: Go 'Lopes! This post isn't about my latest #OOD, but in fact, I wanted to share my story and showcase the most expensive piece of paper hanging in my office. 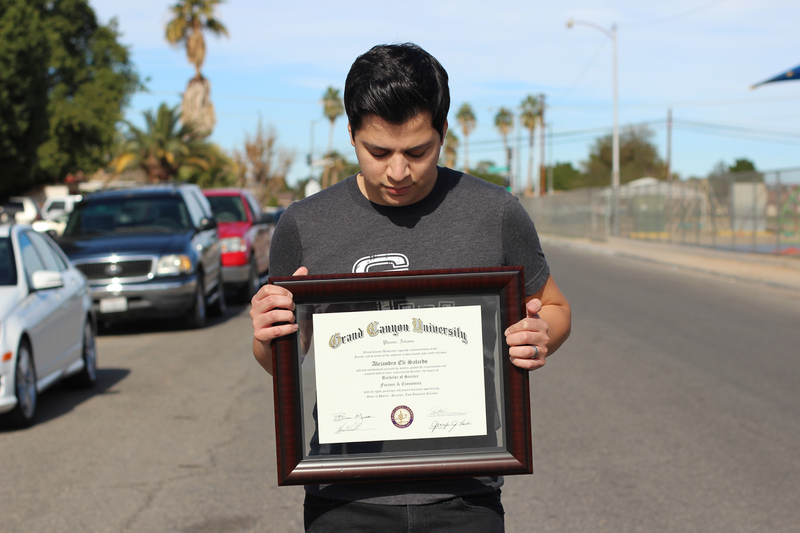 I moved to Arizona for one main purpose; finish school. For years and years I thought I was going to follow the family legacy and become an orthodontist (I even applied for school in Mexico). After giving it close though, I realized that I had a passion for numbers and doing my "office-oriented" jobs such as accounting, or doing stuff finance-related. I decided to take a huge left turn and go towards a finance degree. 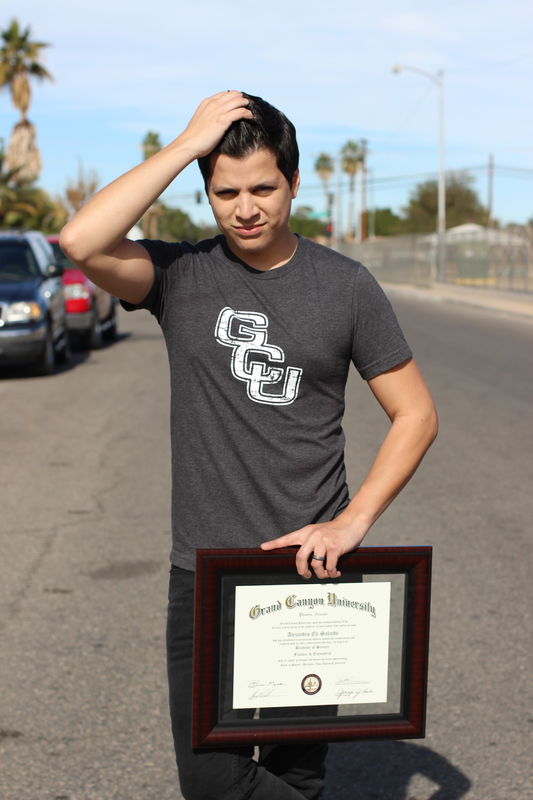 I continued with my general ed courses at a community college, and finally transferred to Grand Canyon University. I love GCU; it's a private Christian University, affordable, has a lot going on, and their school spirit is at a all-time high, all the time! I doubled up on courses, and finished most of them online versus attending the campus. It was rough, and it took a lot of time and effort, but I did passed my classes with mostly A's and B's. December came around, and I finished all of my courses! Last weekend my awesome diploma came in the mail and I had this neat frame my wife gave me to hang it up in our cozy place. I am glad how things turned around; I had a set list of goals to complete before turning 25: finish school, get married, and live in San Diego. Of course, the San Diego goal came in a few days after turning 25, but I wouldn't have it any other way. Now is time to work on goals before turning 30, which include kids, buying a house, and possibly starting a business? What are your goals for this year, or in general?